Are you looking for a trusted affordable carpet cleaning company located in Raleigh, that offers reliable, friendly, and quality services in Cary, Durham, Garner, Holly Springs, Apex and surrounding areas? A Carpet Cleaner that does not bait and switch on their pricing and does not try and up sell you as soon as they walk through the door? Then NC Carpet Cleaning Company Alert Carpet Cleaning is the company for you! With over 20 years in the business offering Residential and Commercial Carpet Cleaning Services we are hard to beat! We offer trained carpet cleaning technicians, that are courteous, reliable and trust worthy. We are fully Licensed and Insured for your peace of mind and use only environmentally safe cleaning solutions. No Gimmicks just a Good Honest Carpet Cleaning at an Affordable and Fair price. We are Family Owned and Operated and we understand that just like us you work hard for your money so we only provide a quote and a cleaning for the services you request with no pressure to up sell. Best Local Carpet Cleaning Company & Carpet Cleaners Around! A TRUSTED TOP RATED LOCAL RALEIGH NC CARPET CLEANING COMPANY for over 20 years! We Can help You With Your Insurance Claims If You Have A Flood Or Sewer Back Up. Give us a call or just fill out the short free quote estimate request form for a speedy fast quote and we will contact you to schedule a cleaning. We offer affordable carpet cleaning raleigh nc and surrounding areas. Hot Summer Carpet Cleaning Specials For Raleigh, Cary, Apex, Garner, Holly Springs, and surrounding areas. The Best Carpet Cleaning Deal Around. Hurry this price is only offered for a limited time. Clean any five rooms (up to 1250 square feet) of carpet cleaning, & deodorizing (A flight of stairs can be substituted for a room) Cleaning your carpets can not only make them look like new, but can clear out dust and other pollutants as well. 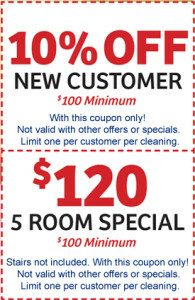 Use this offer to rejuvenate your carpets for less! Get your Carpet Clean Now! Only $79.95 Special Carpet Cleaning Offer Coupon for Raleigh, Cary, Durham, Apex, Garner, Holly Springs. We guarantee our work 100% No Gimmicks no up charges, just a good cleaning at a fair price. Call Alert Carpet Cleaning at 919-838-5000 to schedule a cleaning, or fill out our simple Quote Request! Alert Carpet Cleaning in Raleigh NC has been cleaning and deodorizing carpets, and providing water extraction for floods in the triangle area for over 20 years we offer high-quality; fair priced cleaning for your carpets, area rugs and upholstery. We use the latest in Truck Mounted Carpet Cleaning Systems; these self-contained carpet cleaning systems help Alert Carpet Cleaning to offer any home or business the best carpet cleaning in the business. We can also use Green products while still offering high-quality service and a good cleaning, all while not harming our environment. With a combined fleet of six service vehicles, we provide service second to none. Give us a try and you will see why. Satisfaction Guaranteed – Call Us Today! (919) 838-5000 – Cary Carpet Cleaning | Rugs, Water Extraction you will be happy you did. "Affordability, Quality and Customer Satisfaction are our #1 Goals. Give us the opportunity to earn your business."